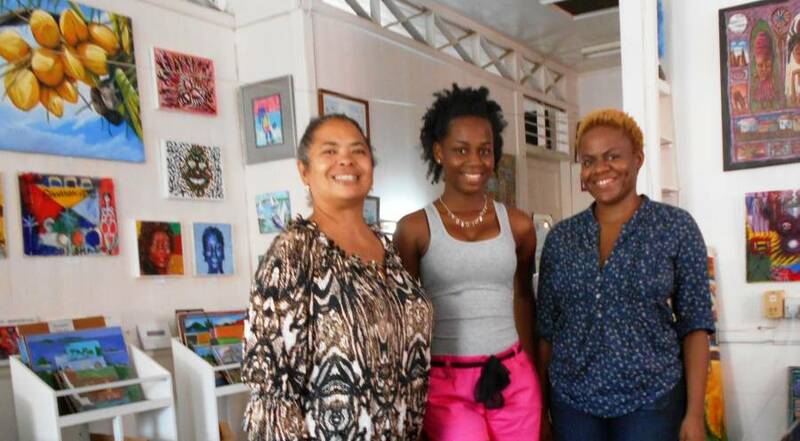 Last Saturday, Nikita McVean, contestant in the National Queen Show 2014 and her chaperone Feona Sandy, joined local artist Suelin Low Chew Tung at Yellow Poui Art Gallery, on Young Street in Saint George’s, for an introduction to Grenadian art. Gallery owner Jim Rudin, was delighted to have the National Queen Show contestant visit his gallery. 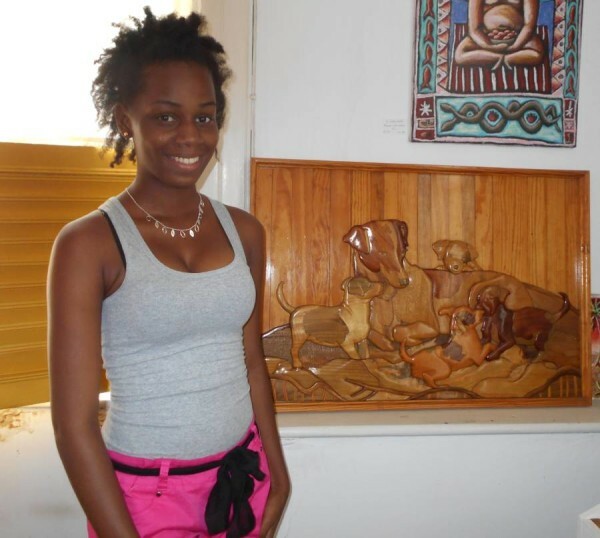 McVean toured the gallery, and was shown the works of several Grenadian painters – Jackie Miller, Michael Paryag, Jonah Mark, Doliver Morain, Oliver Benoit and Stanley Coutain. She expressed delight at Paryag’s coconuts and Coutain’s sculpture, and disclosed that she dabbled in painting and drawing while at school. Rudin offered further information on the artists he represents, and described the types of artworks available at his gallery, including works created in Grenada using the techniques of raku (Marie Messenger), glass (Maria McClafferty), and found objects (Chris Mast). Her bio says that she is a graduate of TAMCC, Beacon High School, and that she has been actively involved in Junior Achievement, Grenlec Inter-Secondary School Debate, and the SGU Knowledge Bowl and Science Fair. She was also awarded Most Outstanding Young Leader in the RBTT Young Leader Programme in 2010. McVean aspires to become an attorney at law, and the Parliamentary Representative of her parish, to impact change for the people of St John. 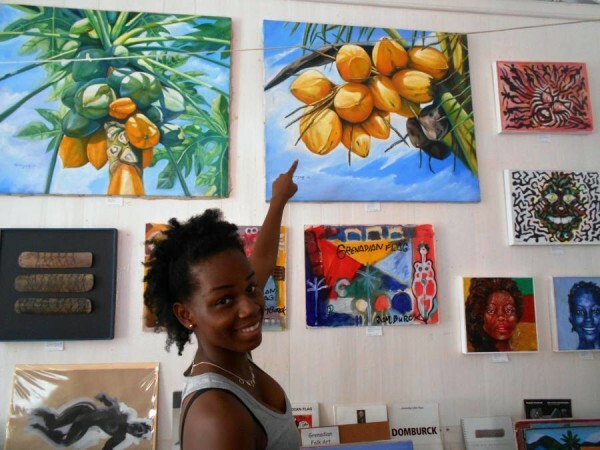 That determination, plus her quick grasp of the art she was exposed to, prompted her to speak eloquently about using art and culture as a way to tell the story of her area, Gouyave, since “good things come from Gouyave,” and of Grenada as a whole.